Allied health: missing in action? In a sector that has been traditionally structured around a nursing and carer model, integrating allied health services into mainstream aged services is proving to be a challenge. Linda Belardi reports on the barriers and opportunities for allied health in aged care. Despite considerable growth in the allied health professions in recent years their integration into aged care remains poor and recent statistics even point to a diminishing role in the sector. This is despite increased evidence showing the benefits of multidisciplinary teams in the care of older people with complex chronic conditions. According to the latest aged care workforce data, the number of allied health workers dropped from 9875 in 2007 to 7649 in 2012; a significant decline that may belie optimism in a growing role within residential aged care. However, it is unclear to what extent the decline in directly employed allied health professionals may be partly offset by the increase in aged care facilities using agency, brokered or self-employed staff. Lin Oke president of Allied Health Professions Australia (AHPA) says it is clear that the number of allied health workers in aged care has not kept pace with their expansion in other parts of the health system, such as primary care and disability. While in other sectors allied health professionals hold significant roles that extend beyond the delivery of health services to clinical leadership, quality assurance and management, the vast majority (65 per cent) of allied health workers in aged care are in fact certificate III and IV qualified allied health assistants. Knowledge of what allied health professionals can offer the sector is poorly understood and access to allied health services remains limited with funding barriers, low status and limited advocacy all playing a role. In recognition of the need to raise the prominence of this issue, AHPA, representing 21 allied health national peak bodies issued a policy paper in March titled ‘Enhancing aged care services through allied health’ in an attempt to articulate the problems and drive advocacy. In that paper, AHPA called for a new funding mechanism for allied health services in aged care and a greater role for allied health professionals in standards assessment and accreditation. The umbrella peak body recommended the introduction of an aged care stream into Medicare to build on services currently available to consumers and for allocations within ACFI to reflect the true cost of services. Currently aged care residents with a chronic disease can access Medicare rebates for up to five individual allied health services each year, as part of a chronic disease management plan that has been signed off by a GP. However the allied health professions argue that five visits is well below what is necessary to achieve improved outcomes and better management of chronic conditions. According to the latest report ‘The Aged Care Workforce 2012’ from the National Institute of Labour Studies (NILS), in 2007, allied health professionals made up just 7.4 per cent of the direct care residential aged care workforce, compared to 29 per cent for nurses and 63.6 per cent for personal care attendants. However, in 2012, the combined figure for allied health professionals and assistants dropped even further to 5.2 per cent. Associate professor Debra King, dean of the school of social and policy studies at Flinders University and principal researcher at the NILS, says while the reason for the fall is unclear, the numbers are significant and surprising. She says it would be worth exploring to what extent the funding model in aged care mitigates against increasing the direct employment of allied health professionals. 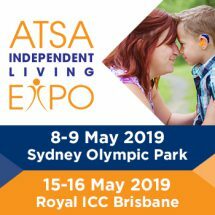 “It does seem to be that the focus in funding is on nursing and personal care assistants in residential aged care and that allied health professionals and assistants are seen as a beneficial ‘extra’.” However, she says, more research would need to confirm to what extent this is a problem. A more profound issue, according to King, is clarity around the role of allied health professions in aged care and the fact that they have not yet been able to clearly articulate what they add to the aged care sector, specifically to the health and wellbeing of older people; to the business case of facilities; and to the policy direction of governments. King says this is an important issue for the allied health peak bodies if they are to recognise aged care as a core sector of employment for their members. The sheer size and number of the allied health professions also further complicates the advocacy story. In addition, few of the allied health professions actually have ‘gerontology’, ‘social gerontology’, ‘aged care’ or ‘ageing’ as a speciality within their field in order to promote the relevance of their members’ skills to the aged care sector and governments. “Aged care is going to need allied health professionals, but it is a ‘new’ sector for allied health and aged care has been structured around a nurse/carer model in which there is only a residual role for allied health professionals,” says King. In fact, King predicts the big growth area for allied health will be in the community and in home care where allied health professionals will have a central rather a residual role. Rod Cooke, CEO of the Community and Health Industry Skills Council, agrees that the shift to home care will open up exciting opportunities for allied health, and in particular the allied health assistant role. “The role of the allied health assistant is important now and it is growing and I think it will be much more important in the future if we look at trends to consumer directed care and the delivery of care into the home,” says Cooke. In a consumer-driven environment Cooke believes allied health assistants will experience a market-led growth as consumers will seek out cheaper alternatives to deliver different parts of the services they require. 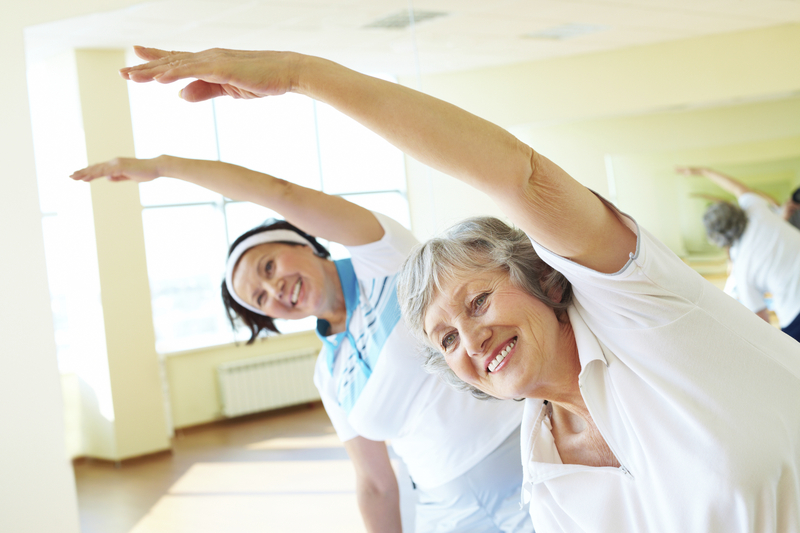 Lin Oke says allied health professionals have an important role to play in supporting older people to stay active in the community and to prevent avoidable admissions to hospital or to residential aged care. The Productivity Commission inquiry noted that poor access to medical and allied health services affects the capacity of the aged care sector to deliver timely and appropriate care and called for formalised partnerships between industry and universities to increase the exposure and training of allied health professionals in the sector. The PC also said allied health care services should also be subject to charging arrangements consistent with those in the health care system. One area of allied health that is particularly underrepresented in aged care is speech pathology. Speech pathologists are experts in communication and swallowing difficulties but they can also help advance the design of dementia-friendly communities and the use of smart devices and tablets to support residents to communicate and as a platform for therapeutic interventions. Jade Cartwright, Speech Pathology Australia’s ageing and aged care spokesperson, says the opportunity to communicate is a basic human right and speech pathology services should be seen as an essential service in aged care, not an added luxury. “Studies show that care staff underestimate the prevalence of communication difficulties in aged care and value support and training to develop skills for communication with residents. “However, given that speech pathologists are rarely employed by aged care organisations access to this training and on-site mentoring and support can be limited,” she says. Cartwright is also concerned that some aged care facilities may only be employing speech pathologists to support a person’s swallowing difficulties and overlooking a person’s communication needs. It is estimated that up to 98 per cent of residents living in residential aged care have a communication impairment, however services rarely tackle communication difficulties, which have a strong impact on a person’s quality of life. This issue is exacerbated by the Aged Care Funding Instrument which does not adequately consider communication impairments nor recognise the value of communication-based services and proactive interventions, she says. For the small number of speech pathologists currently working in the sector, Cartwright says they are servicing an incredibly high number of residents, which compromises quality and limits the outcomes that can be achieved. To compensate, families are often having to source and fund private speech pathology services on their own initiative. “This is expensive and detracts from coordinated, interprofessional, best-practice care,” says Cartwright. “Even though the information we have is anecdotal, it looks like this happens quite a bit across Australia,” she says. Cartwright, who is also a lecturer in speech pathology at Curtin University, says education and practice initiatives between the different professions will help drive the closer integration of allied health services into mainstream aged care. “Interprofessional education and practice initiatives are recognised as key mechanisms for growing a more collaborative future workforce. “This represents a paradigm shift from siloed healthcare delivery towards more cohesive and integrated models of practice where different disciplines work together to address an individual patient’s healthcare needs collaboratively and holistically. Cartwright says it is the responsibility of the profession to improve understanding and awareness of their role and value in aged care and to work with the tertiary sector and industry to provide positive, high quality clinical placements to students. One aged care provider who continues to invest significantly in allied health is Montefiore Jewish Home in New South Wales. Out of approximately 1000 staff across Montefiore’s four sites 10 per cent are allied health workers, a figure well above the industry average. Permanent staff include physiotherapists, occupational therapists, diversional therapists, creative therapists, social workers, a dietician and diet coordinators, and a dental hygienist. Montefiore also provides additional allied health services through contracted ‘preferred providers’ including massage and reflexology, speech pathology, podiatry, optometry, audiology and psychology. Of these 100 in-house and contracted allied health staff, approximately 20 are allied health assistants including exercise physiologists and recreational activity officers involved in the organisation’s physiotherapy and diversional therapy programs. Tracey Clark is Montefiore’s general manager allied health services, who has been with the organisation for close to seven years. She says it’s very important for the allied health staff to be integrated within the organisation, which is why Montefiore has opted to use ‘preferred providers’. 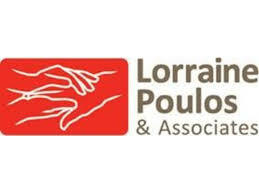 These are professionals the organisation has developed a strong relationship with over time and are therefore able to support continuous improvement and effectively work as part of the multidisciplinary team. “As part of the contract they help us develop our workflows and provide ongoing training for our staff and also for our residents and their families,” she says. 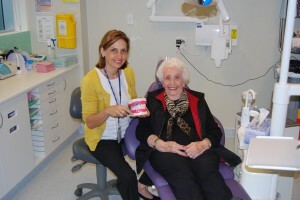 In a program unique in aged care, Montefiore introduced a dedicated dental clinic at its Randwick site in an effort to improve the overall oral health of its residents through specialist care. “We recognised that even with the care staff implementing the government’s Oral Health Assessment Tool we still weren’t meeting all of our resident’s needs,” says Clark. As part of the optional oral health program residents receive three or more appointments with the in-house dental hygienist for scaling and cleaning and two annual dental check-ups with the site’s three visiting dentists. Due to the higher costs of running the clinic, residents who opt in for the service are charged an oral health levy of $1 a day. If a resident requires advanced treatments such as extractions or denture modification a treatment plan with estimated fees is then developed in consultation with the resident and their family. Since its introduction, Clark says staff have witnessed a decrease in infections, such as respiratory infections, and a decrease in behavioural issues. Residents also report improvements in eating solid food more easily and less oral pain. Clark says the program has seen an almost 70 per cent uptake. While many residents report that the in house service alleviates the stress of visiting an external clinic, residents who prefer to be treated by their private dentist are supported to do so. Due to the program’s success, Montefiore was recognised with a 2013 Better Practice award from the Aged Care Standards and Accreditation agency, in the health and personal care category and Clark is currently exploring the program’s expansion to the other Montefiore sites.